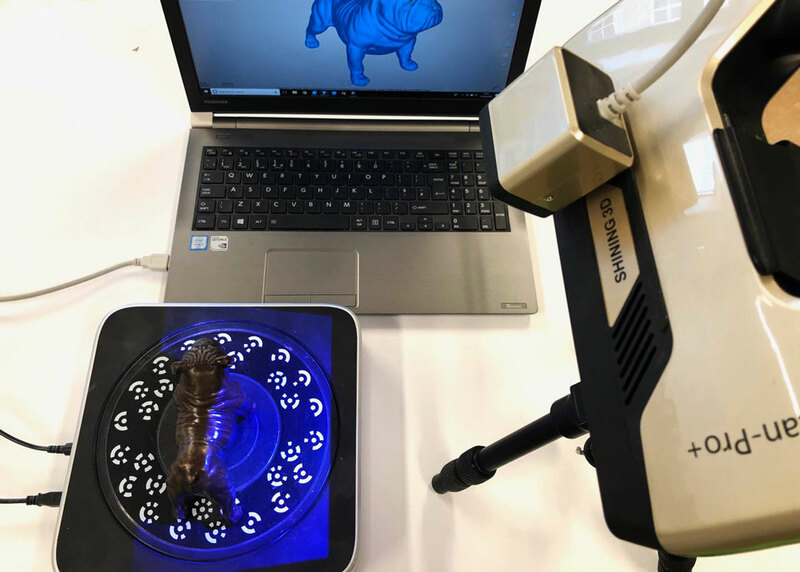 3D scanning along with 3D printing has been developing hugely over the past decade, with 3D scanning technology coming to a point now were you can accurately scan almost any real world object and generate a digital 3D model, suitable for for manipulation and rapid manufacture. This workshop with guide you through the process of 3D scanning an object using two methods; handheld scanning and turntable scanning. We will explain the technicalities of 3D scanning and object and run through some of the problem that can be encountered. You will get a chance to get hands on with the 3D scanner and experience this technology yourself. Do I need prior experience of 3D scanning? Can I bring something along to 3D scan? Can I 3D print the scan from the workshop? Yes, feel free to 3D print anything we scan in the workshop. But this will be charged separately as this is not included in the workshops. Please book onto our 3D printing workshop if you would like to follow the workshop up with some 3D printing, the go together really well!